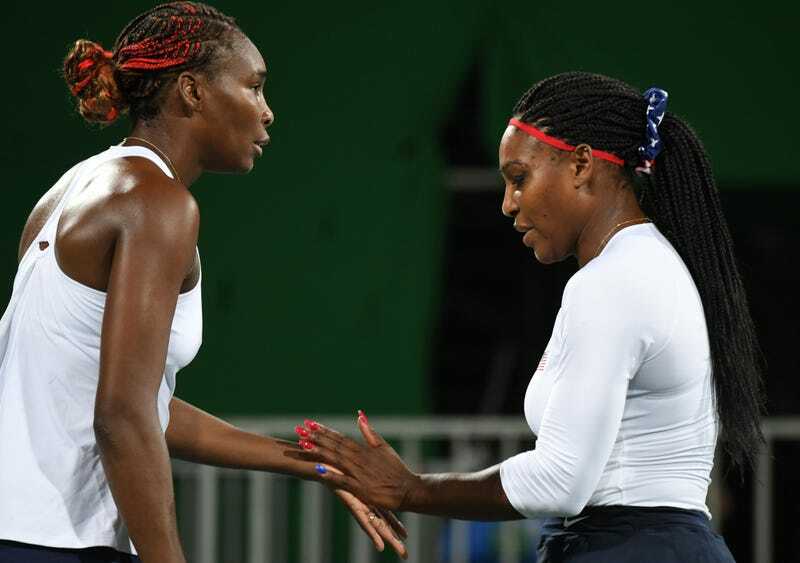 Venus and Serena Williams are world-renowned tennis champions. They are also daughters of the historically black community of Compton, Calif. This weekend, the Williams sisters were for all intents the prodigal daughters come back to the community that shaped them, and to give back to it. Venus Williams, a seven-time grand-slam champion and the elder sister at 36, said that she returned to Compton last year, quietly, according to a profile of the siblings in the Los Angeles Times. The outlet reports that the Williams sisters came back this weekend to specifically honor their big sister, Yetunde Price, who was murdered in a 2003 drive-by shooting. The Times reports that Price stayed in the Compton community. She was a registered nurse and co-owned a beauty shop there. She was only 31 when she was killed and left behind three young children. Serena Williams, the 22-time grand-slam singles champion, joined Venus on Friday at the Dollarhide Community Center to discuss details of the Yetunde Price Resource Center, which is scheduled to open in Compton early next month. On Saturday the sisters were greeted by cheers from a few hundred people when they arrived at Lueders Park, not far from their former home. The Yetunde Price Resource Center is funded with a five-year endowment from the Williams Sisters Fund and will help those from the community affected by violence and trauma. Sharoni Little, the center’s chief operating officer, projected that the center will serve 50 clients per month. “We definitely wanted to honor our sister’s memory because she was a great sister, she was our oldest sister and obviously she meant a lot to us,” Serena said. “And it meant a lot to us, to myself and to Venus and my other sisters as well, Isha and Lyndrea, that we’ve been wanting to do something for years in memory of her, especially the way it happened, a violent crime.